All prices include shipping, CONUS only. I would also trade any of the below for unused Mike's Natural soaps. GLWTS. SS Baker Street is great stuff... I think the Latha line actually sells for $9-11 through B&M (at least from what I remember), but still a good deal shipped! (03-01-2017, 09:02 PM)jesseix Wrote: GLWTS. SS Baker Street is great stuff... 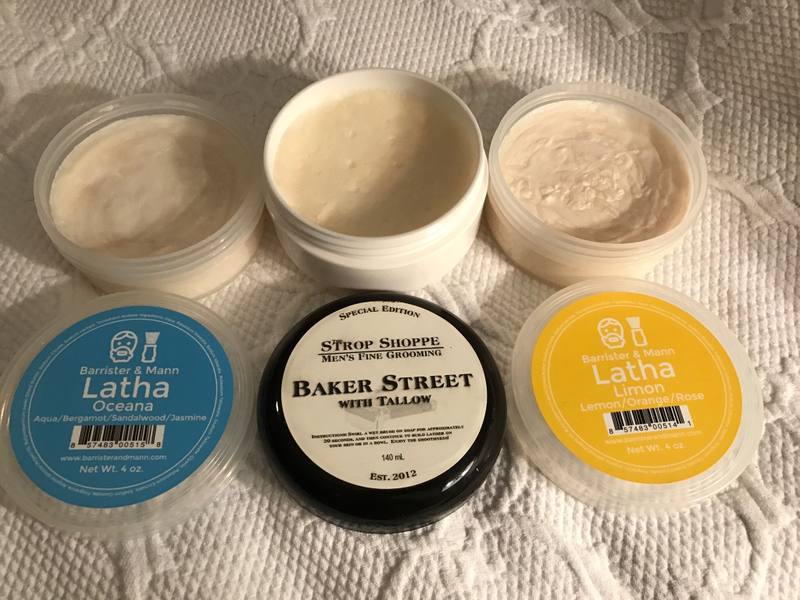 I think the Latha line actually sells for $9-11 through B&M (at least from what I remember), but still a good deal shipped! Thanks for your note and the info. My retail prices came from Amazon (often the least expensive - I did not check ALL sources). In light of the information you've provided, I would now sell the two Lathas for $20 shipped. I would also still trade for Mike's soaps. I would also trade the Lathas for new Musgo Real shave creams. All soaps traded/sold. Thanks TSN!